Hololens Leaks: Reality Behind The Reality:Microsoft Hololens is the mixed reality platform, build around the API of windows 10. The HoloLens that Microsoft will ship will be a Star Trek-style visor that wraps around your head but doesn’t isolate you from the world, with the Intel SoC and custom Holographic Processing Unit built in. What I tried out in the labs hidden (rather cheekily) under the Microsoft visitor centre didn’t look like that, but the engineers and developers who built it say the experience I had with the developer rig is essentially the same. 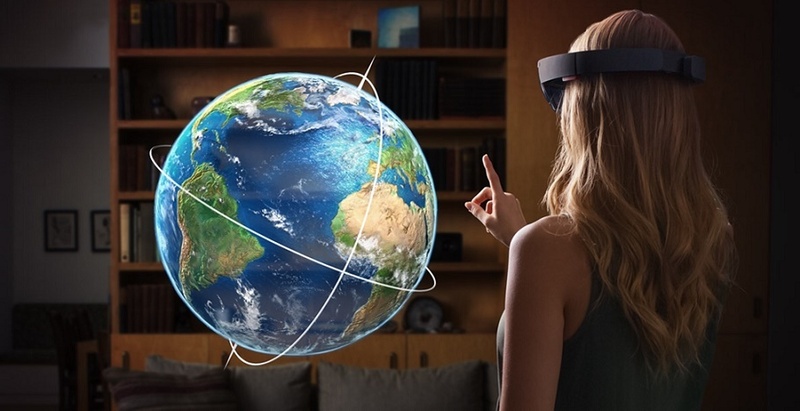 Hololens is released in Windows10 time-frame with Microsoft Hololens Developments Edition on 30th March 2016 and available to the applications of the developers in the United States and Canada for the list price of US$3000. Although it is consumer ready hardware but they have not decided the time frame for the consumers. 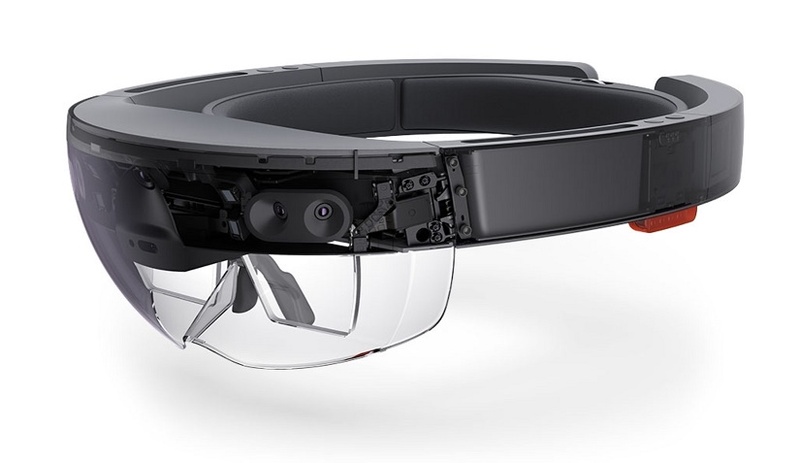 The Microsoft HoloLens design is of a visor glasses unit connected to an adjustable padded inner headband. To wear the HoloLens, the user uses an adjustment wheel at the back of the headband to secure it around the crown of their head, supporting the weight of the unit. Along the bottom edges of the side arms by wearer’s ears are a pair of small red stereo speakers. As opposed to headphones, the speakers do not obstruct external sound, allowing the user to hear virtual sounds together with the real-world environment. At the end of the left arm is a power button and row of five tiny LEDs, which together are used to indicate system status, as well as for power managment, indicating battery level and setting power/standby mode. A USB 2.0 micro-B receptacle is located along the bottom edge. A 3.5 mm audio jack is located along the bottom edge of the right arm. Hope so you all like this small size content rich article, this article is written by Pourav Raj, he is on of the best tech expert who collected all information and leaks regarding this HaloLens and compile in a one place.